I only know everything when I’m lecturing my kids. Inside my head there are warning bells, my mother’s voice, house plans, yogurt flavors, vacuum cleaners, puppies, wine, shoes, zebras and calorie counts all swirling haplessly. It’s amazing I can even keep a straight face when giving advice or laying down rules. 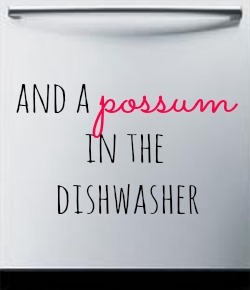 Truthfully, even my kids call me a pushover. I know I am. I HATE arguments and don’t like it when anyone in my family is unhappy with anyone else. I am a born peacekeeper to the extreme. I fully embrace “Can’t we all get along?” and have probably made a lot of “don’t be your kids’ friend” mistakes. My son is the ONLY person he knows who will not be among those at the beach this break. In years past, we’ve had multitudes of kids stay with us at the lake. Some breaks have been good and some haven’t. Now that they are 16 and 17, our boys want to venture beyond, where there are buffets of bikini clad girls beckoning drunkly at every turn. I don’t care about the girls. Good luck to these guys. I’ve made it safely through that stage with my daughter and I say every mother for herself on that one. Any good mom knows it’s a boy’s single unwavering compulsion to get lucky and she should arm her daughters with that knowledge. I’m not even uptight about a few beers. I am a realistic parent. Teenagers drink. I drank. My husband drank. We did worse. Our parenting theory on drinking was to offer sips when our children were young. They would try a sip, grimace and that would hold them for a year or two. This strategy worked so well that our daughter was 19 before she tried again. Even now, she has a good head on her shoulders and never rebelled by drinking. (Extreme eyeliner was another story, but, thankfully, that passed without harm to either of us.) Our son, well, our plan has worked, but only moderately. When our son was 15, an older kid that we didn’t know brought alcohol in through our basement door and got our son and his friend rip roaring drunk. While I don’t like this kid, I don’t blame him as I’m sure my son was a willing participant. Throwing up drunk. Sick, sick, sick drunk. My husband went downstairs to find our son, naked, sick and lying in the shower. He described him as looking like ET by the creek. We took great enjoyment the next day in rousing the two boys up early in the morning and making them work, in the July sun, on the dock all the next day. It was extremely pleasurable on our part, and taught the boys a big lesson. 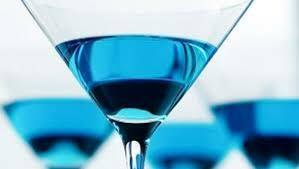 The other boy does not drink at all and our son has a huge respect for alcohol as well as a distrust of blue drinks. Still, our kid and most of his friends do drink some. We have a policy about no questions if they are somewhere, have as much as a sip and need someone to pick them up so they don’t have to drive. It’s hard to keep mum when driving a car load of singing boys home at midnight. In speaking with other parents, I find they have a similar policy. To tell a kid not to drink and then expect them to obey is a great thought, but a reality that could end disastrously. I’d rather be safe. 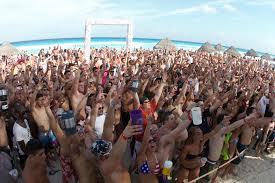 Every parent out there allowing their child to go to spring break is telling them the same thing. “No drinking”. As if. Even in a stable, two parent home with a curfew we have to keep a constant eye on them. At 17 their brains have not fully formed, all their thoughts are in their pants and they are so loaded up with testosterone that they fully believe themselves to be Wolverine. Not a good combination to turn loose with thousands of others kids, all feeling the same way. So, my poor unfortunate kid, with the fabulous car, the designer clothes, credit card and, I feel, dang lenient parents, is NOT going to be at the beach with his friends. He won’t be getting a ticket driving down, he won’t be in the wreck on the side of 75, the tragedy broadcast on 26 stations. He won’t be getting lucky and getting herpes, poor kid, and he won’t be getting stitches at the Panama City hospital. 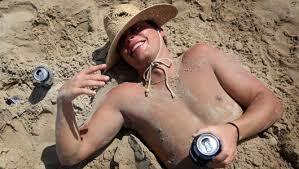 He won’t be in the sand, with 4 oiled up, sandy babes plastered to him. He won’t be getting plastered at all unless it’s with his mom, on umbrella drinks, while doing yard work. (Nothing says fun like partying with Mom…) My poor tortured boy will somehow be living through this incredible stretch of time (7 days), alone, without his ever circulating fraternity, to emerge alive and unincarcerated sometime in mid-April. I know, cry me a river and call DFCS. This parent said NO. Are you ok? I sure miss your posts.